Visiting museums and art galleries is one of our favourite activities to do as a family. We have chosen to ignore Jake Chapman’s advice, that taking children to see art is “A total waste of time”. We love visiting art galleries with children. My children enjoy everything better if they eaten before we start. Putting our coats and bags in the cloakroom is a game changer. It means i don’t need to carry everyones coats around. I often let my children lead the way. OK sometimes we are just running around, but they do have more fun when they are leading the tour. We like to take some pencils, pens and a little sketch pad in a little pouch. We usually sit on the floor and draw in front of piece of art that interests them. Sometimes when they were younger we would also bring a cardboard view finder, children’s magnifying glass or binoculars. Some galleries have back packs for children - but we find that often there isn’t much left in them. Unless you are lucky enough to get one when they are first assembled. The Yorkshire Sculpture park - Your children can run around outside and you get to see fantastic sculptures. The Tate Modern - My children love running around the Turbine hall and the swings outside. The exhibitions and scale are always exciting and great. The National Portrait Gallery - The nudes were are a favourite here on our last visit. Manchester Art Gallery - We like the Clore Art Studio, it is a great interactive space to play and explore. 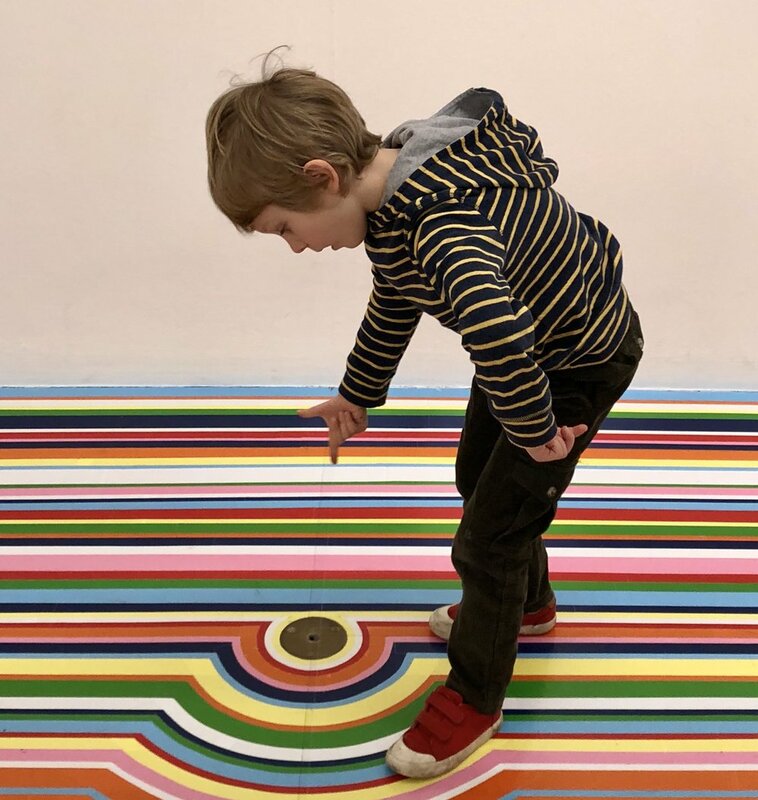 Do you like to visit art galleries with your children ? Which galleries do you like to visit?